Ending My 8-Week Struggle – Must. Write. Or else. Her campus journalists will eat her alive. If there is one thing I am not prepared for at this moment, it is motherhood. Please don’t mistake my unpreparedness for not wanting to have a child. I do want to have children. In fact, I’ve got their names listed already, just in case Jets forgets them or their spellings. My struggle started in December when I started experiencing different kinds of pain in my body. I thought I was just going to have my period, but it didn’t come. I scratched off the thought of being pregnant, because hey, we were very careful, and I was wary enough to take note of my fertile period. No way, I said to myself, it was too early. However, as much as I wanted not to be pregnant, all those cravings came rather frequently. I still thought it was just a sign of PMS. One time, I badly wanted a burger from The Black Apartment. I went there with the husband hungry and excited. We even ordered buffalo wings because we were that famished. Our orders came, and after finishing half of my burger, the patty lost its appeal and I just didn’t want to eat anymore. It was rather unusual because I could usually finish a TBA burger no matter how big it was. Chopsuey, on the other hand, is the one thing I didn’t want to get near to — chopsuey from Foods ‘R’ Us, to be specific. Just the thought of it made be nauseous. Aaaargh, these hormones! January came and I still didn’t have my period. I felt that something was growing inside me, not to mention all the discomforts that came with it. I googled everything I was feeling, and indeed, they were signs of pregnancy. Would you believe I even incurred patchy alopecia areata, and it was also a sign of pregnancy? Oh, it was the hardest time of my life. For four weeks, nobody knew, all because I had a hard time accepting this reality. Gradually, Jets noticed that I wasn’t having my monthly dysmenorrhea episodes and he began questioning me if I’ve had my period already. 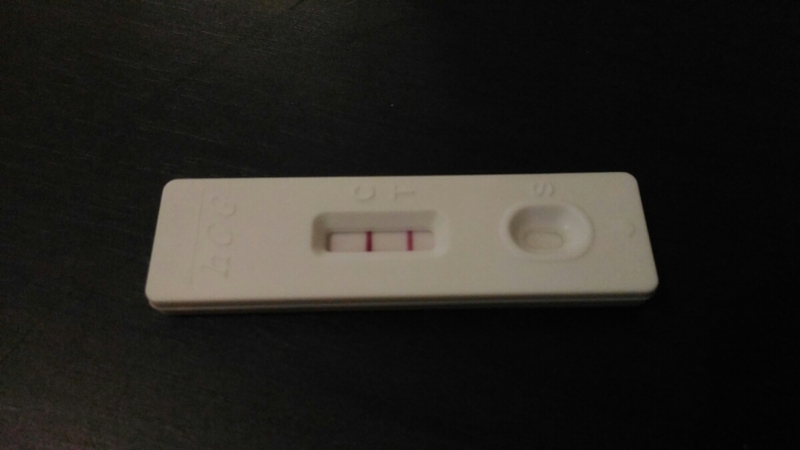 He was quite sure that I might be pregnant, so he was pushing me to take a pregnancy test. I tried to buy time and was fairly successful. I wanted to take the test when I was ready, even though I already had two PTs in my hands, courtesy of the school nurse. Before taking the test, I wrestled with God — yes, the same wrestling Jacob experienced. My devotions in Hebrews were a constant reminder to put my full trust in the Lord, but I was still in denial. I tried to reason with God that with the monthly income that we have, we are not capable of giving our baby the best of everything. It was all I was worried about — how we didn’t have enough. I mean, we could barely get through a month’s expenses. How much more if there was an addition to the family? The hardest part these past weeks was knowing exactly the key to ending my struggle but not being able to apply it because my fears were larger than my faith. But God never gave up on me. He continued to encourage me through my devotions. And that was it. I was struggling because I didn’t have faith. I couldn’t sleep and be at peace because I didn’t trust God enough to let Him do His work in my life. My struggle was not about how I was scared and unprepared for the coming of a baby. My struggle was about faith — faith that I failed to put into action. I let the control freak in me overcome my gift to move mountains. Because I was so engrossed with setting everything in place, I soon forgot that God’s will should first be in place, and everything would just follow. I ended my faith struggle with a larger faith – a faith that allows my plans to be shaken and my life to be messy and disorganized. 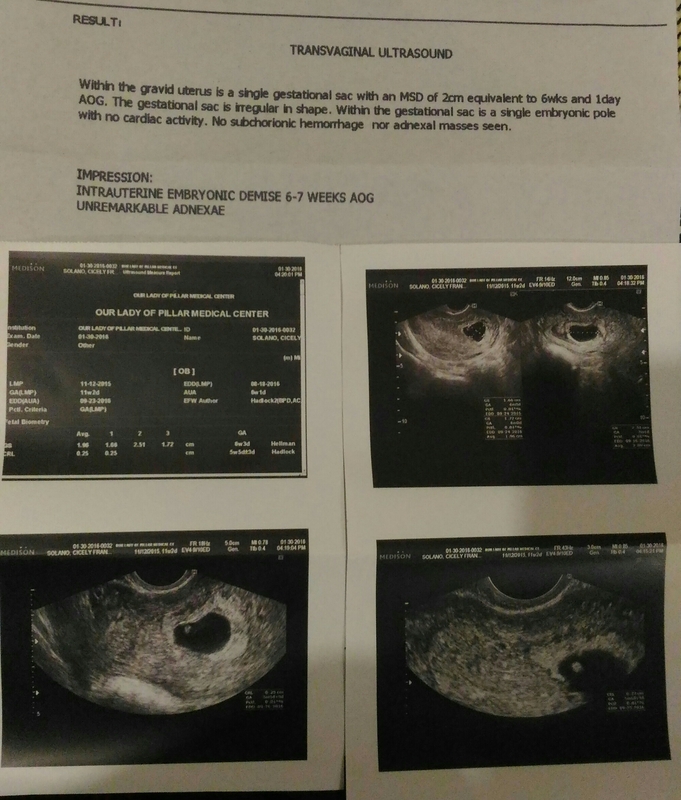 On January 27, I took the test and accepted that I was indeed pregnant. 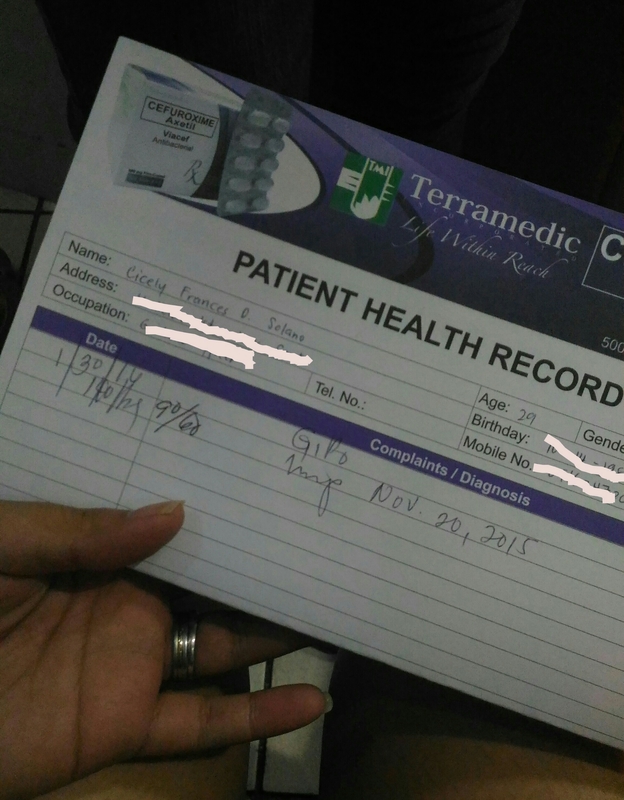 On January 30, Jets’ birthday, we went to the doctor for a check-up. It was my birthday gift to him, because he was very excited to have a baby. The doctor suggested to have an ultrasound because, she said, she couldn’t hear the baby’s heartbeat. 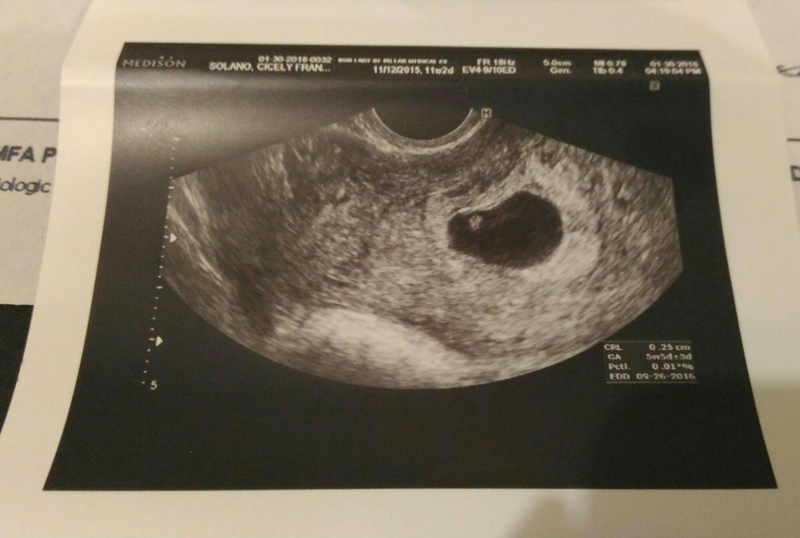 I didn’t know what to feel, but I went in anyway and had my very first ultrasound. I even asked Jets to come with me since I wanted him to get everything the doctor says. As I looked at the monitor, the doctor pointed at the sac and the embryo. I thought I was smiling that time, seeing that tiny dot inside my tummy. The sonologist called Jets in so she could explain it further. I saw the look on his face as the doctor pointed at the embryo — it was priceless. That’s when I realized that I could actually go through all this, even the pain of child-bearing, if it meant seeing my husband’s incomparable joy every single day. However, his facial expression slowly turned from hopeful to hopeless, as the doctor explained that the embryo had no heartbeat, no cardiac activity. I was emotionless, but I felt the devastation that came upon Jets that exact time. It’s been 2 days since that check-up, and it’s almost like my conscience is telling me that it’s my fault — that the baby didn’t have a heartbeat because I didn’t want it first. I don’t know what will happen next, but right now, I am just fixing my eyes on Jesus, overlooking all my struggles, worries, and fears. Whatever the Lord allows to happen, I think He has already prepared me with a larger, more encompassing faith than before. PS. As of posting today, February 5, the embryo came out this morning after a 3-hour contraction. It was the most grueling 3 hours of my life, and Jets wasn’t even home. But God is good — He helped me through it. Hello Cyen! I think it’s both congratulations and I don’t know, sorry? But it’s okay. 🙂 Still under observation for two weeks.